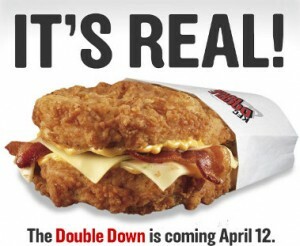 This sandwich comes out April 12th and is literally bacon and cheese sandwiched between two pieces of fried chicken. It’s called the double down. Recently, CookYee posted a pretty interesting article. As you may have guessed, it’s about 10 “secret” menus you can order from at 10 different places, including Subway and Chipotle. All of these are not the healthiest of foods…But who cares about health? (I do, but that’s beside the point! )…Some of these may not be so secretive to you either. Ready for the secret menu that only the elite without feet, eat?